Mark Wooden was usually a reliever for Lewis-Clark State. When his team needed him, though, he started. And he came through. With a spot in the 1986 NAIA national title game on the line, Wooden put his team on his back and threw a complete game in the 8-2 Lewis-Clark win. He gave up 11 hits, but only two runs, no walks and he struck out 11 to eliminate Oklahoma City University, according to The Oklahoman. Wooden went on from that performance to turn pro. He ultimately played in five seasons, but he never got a chance at such an outing in the majors. He never made it higher than AA. 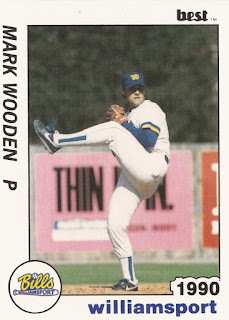 Wooden's career began that year in 1986, taken by the Mariners in the seventh round out of Lewis-Clark. He went to Lewis-Clark after growing up in Windsor, Ont. Wooden began with the Mariners as a starter at short-season Bellingham. He went 6-4, with a 3.77 ERA in 14 starts. He had a 14-inning scoreless streak in August, helped by his fifth win. He split 1987 between single-A Wausau and AA Chattanooga. He also moved exclusively to relieving. In 48 outings on the year, he had a 3.47 ERA. He also saved 22. Wooden then stayed at AA, playing 1988 at Vermont. He picked up eight wins and 21 saves. He secured his third save on the year by going two innings without giving up a run. He even made the all-star team as a replacement. His 1989 season was spent at AA Williamsport. His ERA came in at 4.14 and he saved only five games and lost seven. His fifth loss came in a June start, one of four starts he had on the year. He still made another league all-star team. 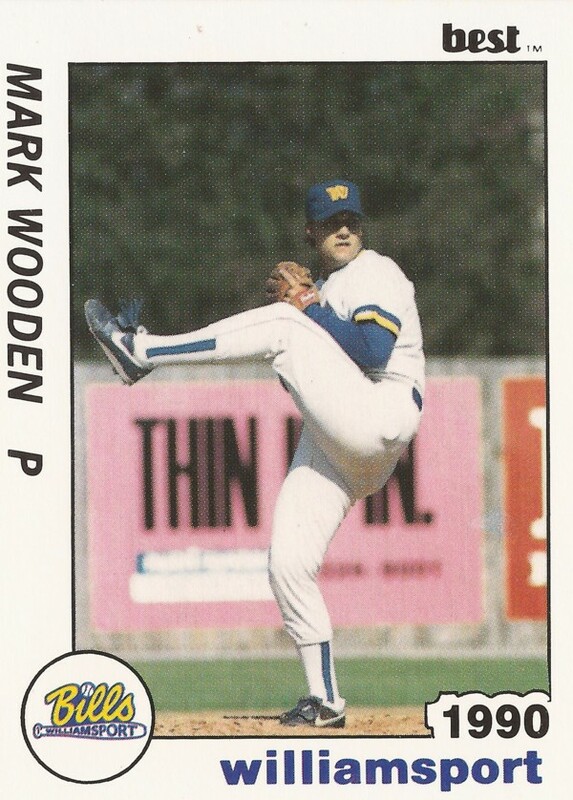 Wooden returned to Williamsport for 1990, but his stay was brief. He got into just 10 games, posting an ERA of 2.30. It was his final time as a pro.